Every single week, there is a new Ganni item that steals our hearts. (Our current new loves include the rainbow striped jumper, white cowboy boots and every single one of the polka-dot pieces.) The item that has caught our eye this week, however, deserves its own story because it only costs £15. 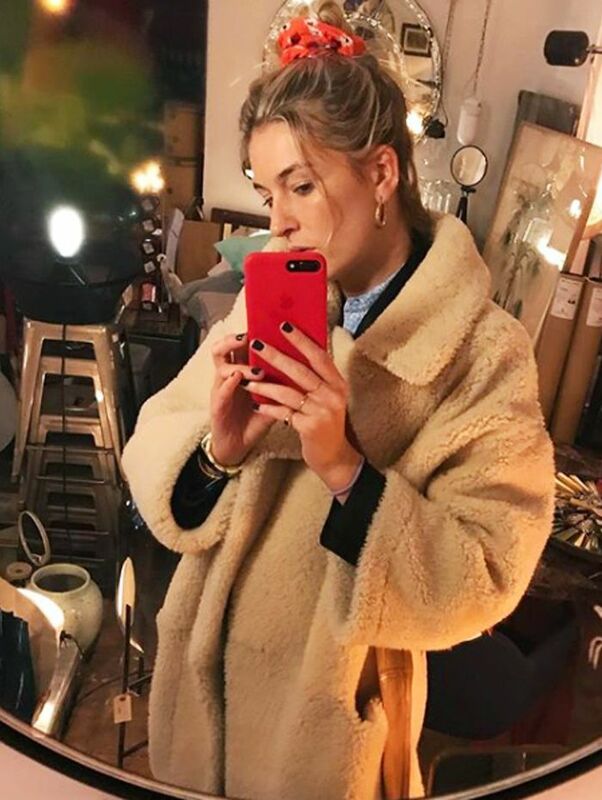 Usually you need to part with at least £200 to shop in Ganni, which is why we were so excited when we spotted Camille Charrière wearing an under-£20 scrunchie in one of the Copenhagen-based brand's signature red floral prints. This is one of its key prints this season—you can either pair it with the matching dress or use it to add some personality to a simple outfit like Camille's. Keep scrolling to see and shop the £15 Ganni accessory.